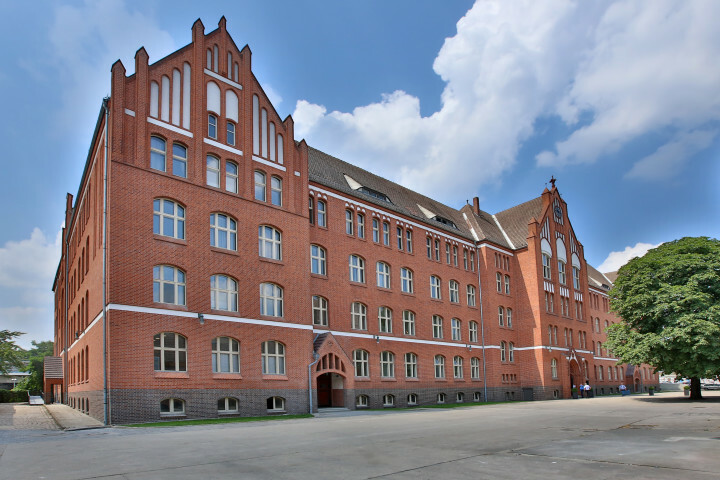 This former technical college right by the Ostkreuz railway station in Berlin is being transformed into a fantastic modern hostel. 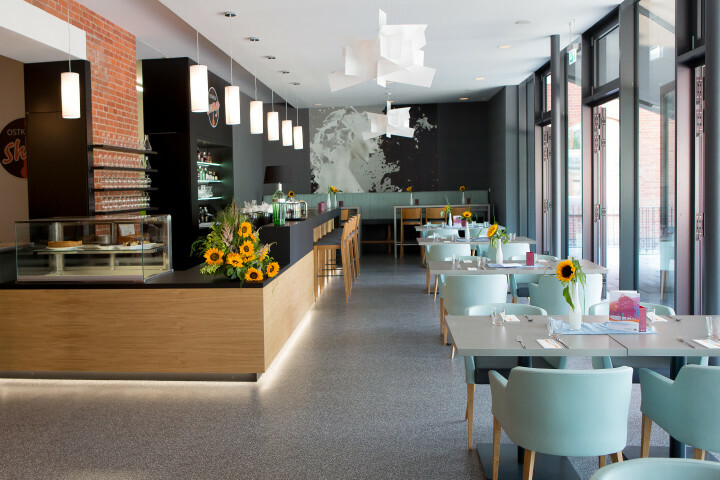 All rooms offer en-suite facilities and a plethora of conference rooms and communal spaces will make this a preferred location for any group, family or traveller visiting the German capital! Located centrally near the Ostkreuz station, where the most exciting developments are taking place and where creativity is abundant: That's where the new, modern Berlin Ostkreuz Youth Hostel is being built. 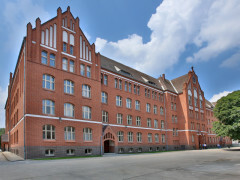 It offers modern, state-of-the-art amenities and will welcome visitors to Berlin, families, school classes and groups. 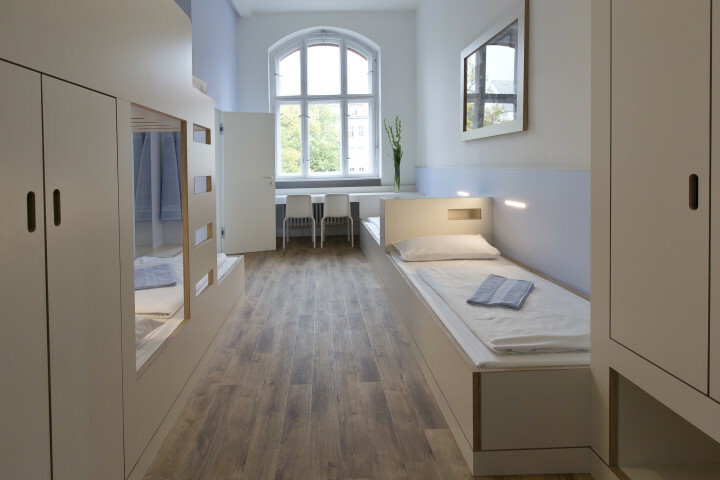 The Youth Hostel has 445 beds. 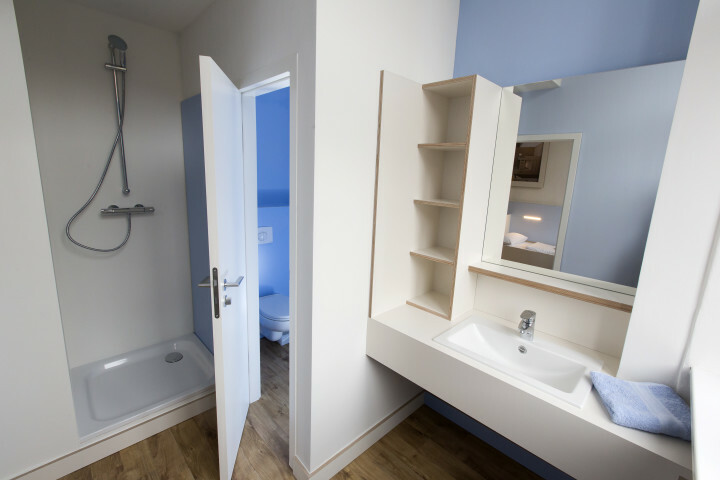 All rooms have en-suite showers and toilets. There are rooms with 1, 2, 3, 4, 5 or 6 beds. The Hostel boasts a friendly lobby area, cosy bistro and dining rooms where guests can take their booked meals (breakfast, half or full board), common rooms for leisure activities and 18 meeting rooms plus a large assembly hall for workshops, training courses or meetings ideal conditions for all kind of guests. 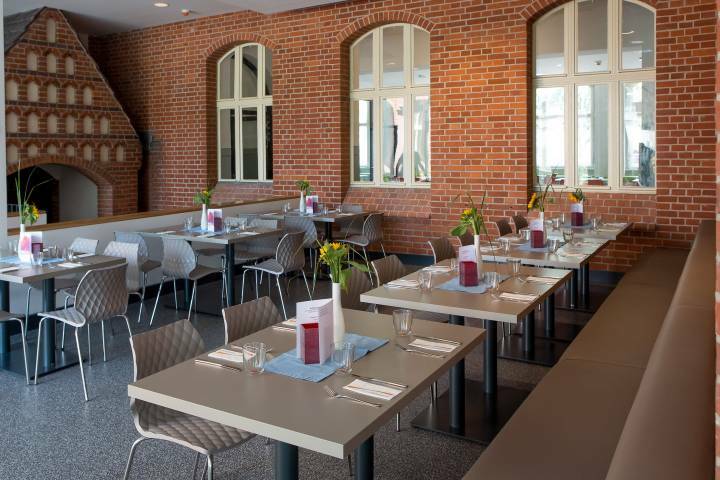 Ostkreuz is Ideally suitable for wheelchairs and guests with restricted mobility. 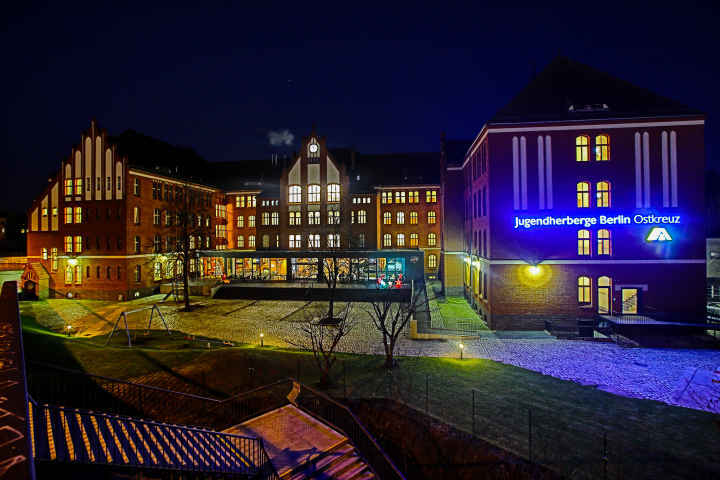 It is the fourth and largest one run by the German Youth Hostel Association (DJH) in Berlin. 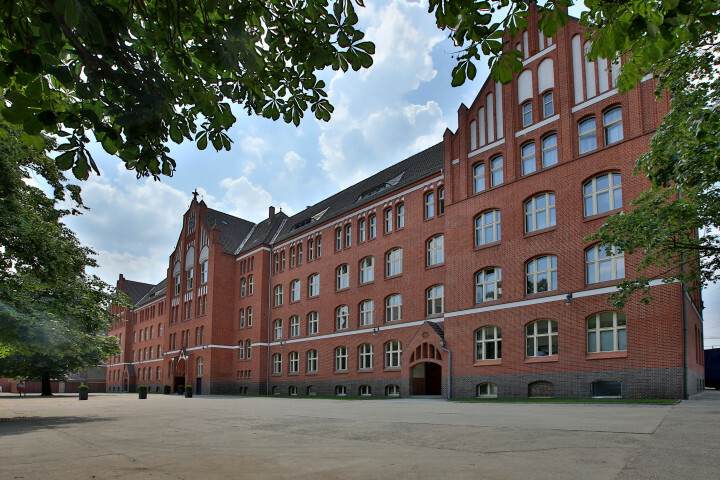 The former school building is an ideal starting point for every Berlin visitor who wants to experience the vibrant heartbeat of the German capital and discover its many sights. The good traffic connections make it easy to reach the city's attractions in a very short time. 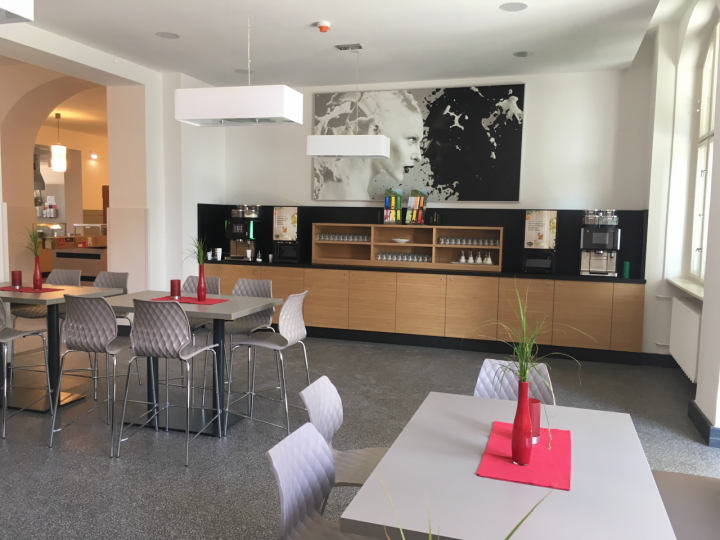 The Youth Hostel is located just steps away from the modern and recently refurbished S-Bahn and regional train station Ostkreuz, with train services operated by the Berlin public transport company all day and night. Ostkreuz is also a stop for the city's most important bus lines. 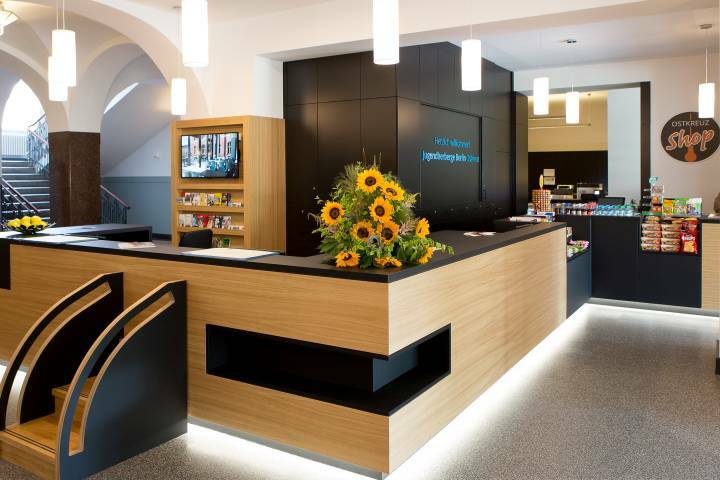 Berlin's city centre and it sights such as Alexanderplatz, Friedrichstrasse, Brandenburg Gate, Potsdamer Platz and Reichstag building are only a couple of stops away from Berlin Ostkreuz Youth Hostel. a great hostel. stayed here before and would stay again. Très bonne impression, dortoir spacieux, confortable et pratique. The place is wonderfully clean and the security boxes in the dorms are very convenient. The staff is very helpful and accommodating but most of them don't have great English. Breakfast should go until 11AM and have more options. Getting there is easy but they need to list check-in times online.